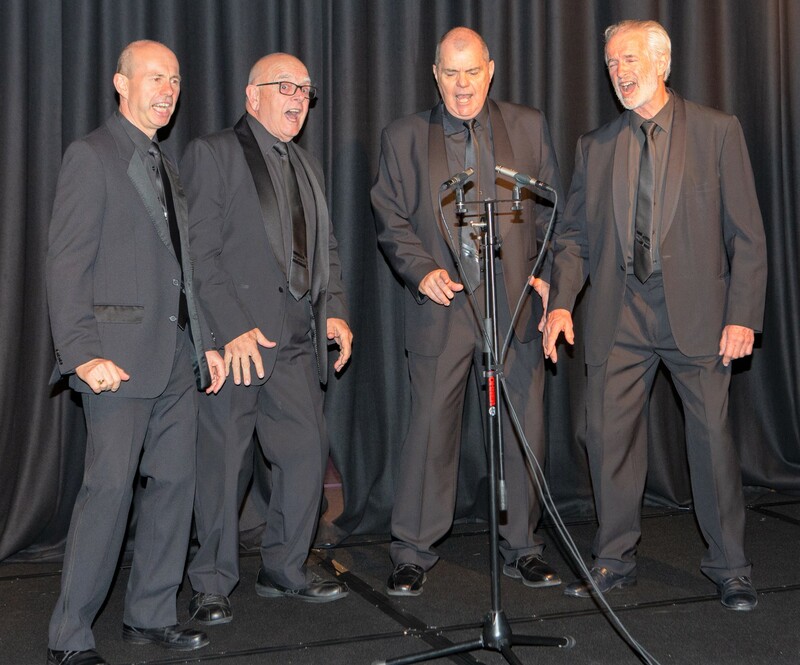 Formed in 1996, over the years, Hills Harmony Chorus has evolved to a position where it is now regarded as one of the best Barbershop-style small choruses in Australia. 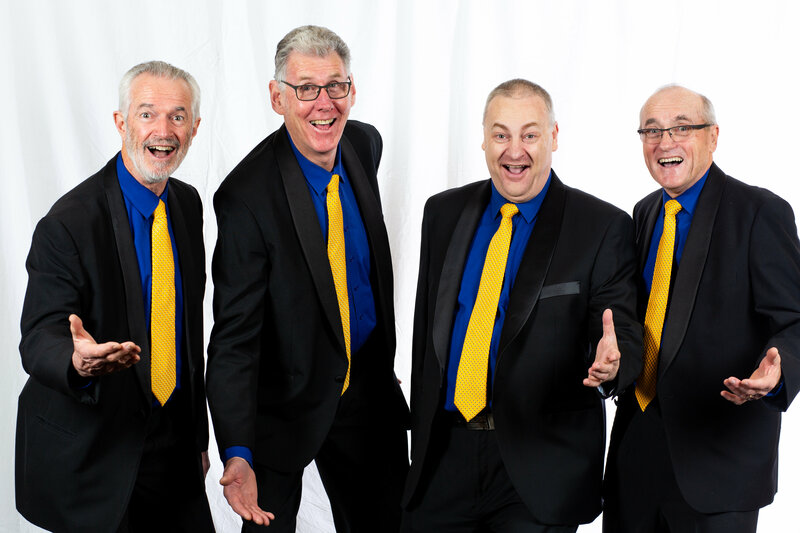 In addition to holding our own bi-annual concert, we compete regularly in competitions held by our parent organisation, Barbershop Harmony Australia and in various Eisteddfods. 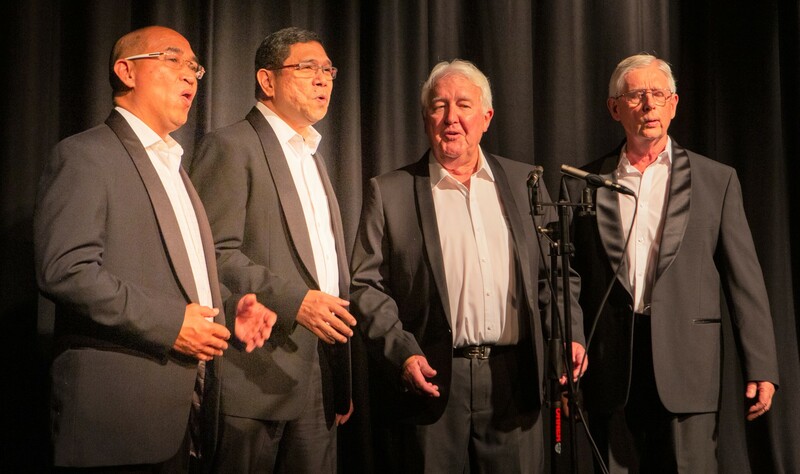 We sing at many venues including shopping centres, retirement villages, aged care establishments, citizenship ceremonies and for many events such as Mothers & Fathers days, Christmas celebrations, family celebrations, Churches and participate in Community concerts. We also perform for Charites as well as for service organisations such as Rotary & Probus. We have a lot of fun and we don't just "stand there and sing"
Each Thursday evening from 7.30pm until 10.00pm in the gym hall of Kellyville Anglican Church, 45 President Road Kellyville. New singers or those simply interested to come and have a look at one of our rehearsals are always welcome. We sing four part harmony without using any musical instruments, commonly known as "acapella" music. Our song list covers Vaudeville to Irving Berlin, Gershwin to The Beatles, the great Broadway Musicals to Peter Allen, plus rock and roll, ballads, love songs, old songs, new songs and Australiana. Our repertoire is interesting and has a depth of differently styled songs. From within our ranks, 3 quartets have formed which, together with the Chorus, allow us to put together an interesting program for just about any occasion. We're always on the lookout for new audiences and ways of sharing our love of music. An RSS feed (or news feed) is a means by which you can stay informed about what's going on at Hills Harmony without having to regularly visit the website.